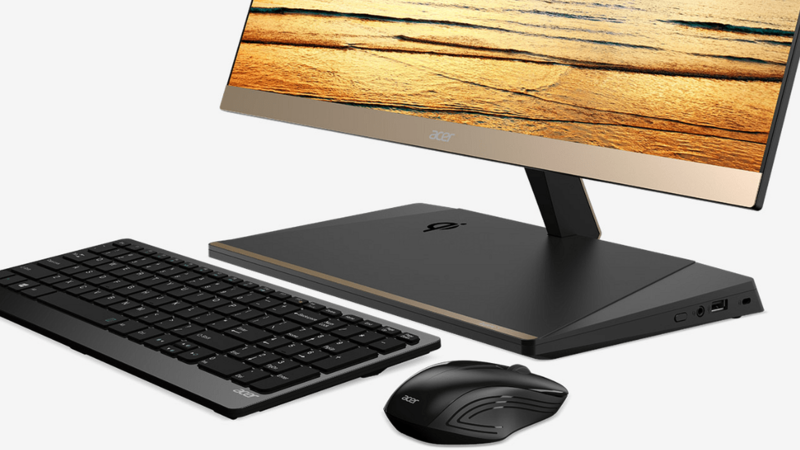 The Acer Aspire S 24 All-In-One is Acer’s slimmest ever desktop, featuring a sheer 5.97mm ultra-thin side profile. The 2.7mm super narrow bezel provides 90% screen-to-body ratio that maximizes the viewing area for more screen space. The combination of black and matte gold colors is stylish, adding a touch of sophistication to any home décor. Complementing its looks is the premium performance and fast responsiveness. The 8th Gen Intel® CoreTM processor with optional Intel® OptaneTM memory enables the Acer Aspire S 24 to accelerate everyday digital tasks while delivering a smooth and responsiveness computing experience. The Aspire S24 comes with up to 32GB DDR4 and 1TB HDD of storage space, making it the perfect device for editing and storing video projects. Built with dual focus on design and premium functionality, the Aspire S 24 features a 23.8 inch display that delivers a vivid and crisp viewing experience from all angles with its 178-degree full HD IPS screen. Thanks to the 2.1 channel subwoofer supported by Dolby Audio™ Premium and Acer TrueHarmony™ technology, the Aspire S 24 provides powerful and deep bass audio experience, enhancing subtle sounds in music and video. 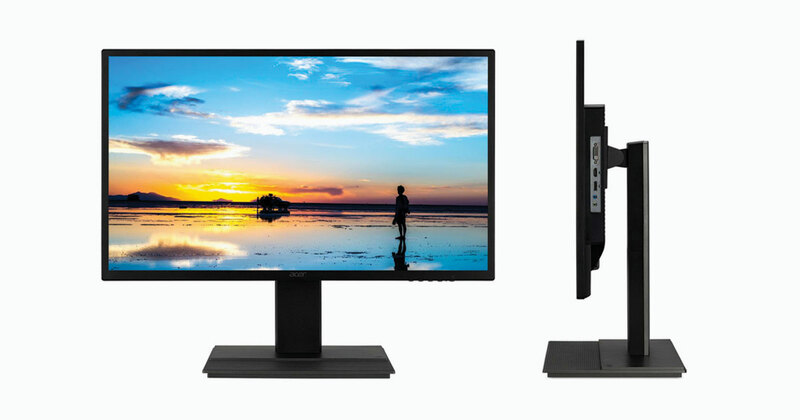 Its frameless design maximizes the viewing area in minimum dimension and it is perfect for use in multimonitor setups. The Aspire S 24 provides new levels of functionality through Windows 10, which includes Cortana and Microsoft Edge. The wireless charging base which supports wireless charging for any Qienabled devices allows users to seamlessly power their mobile devices without the burden of cables. The Acer Aspire S 24 can be tilted from -5 to 25 degree for comfortable use. It also features Acer ExaColorTM and Color IntelligenceTM for accurate colors while BluelightShieldTM and FlickerlessTM technologies help to reduce eye fatigue. The ultra-slim Acer Aspire S 24 is priced at RM4,399. A 27-inch entry-level gaming monitor, Acer XF270HA features Full HD resolution with a 16:9 aspect ratio. The AMD FreeSync technology eliminates screen tearing and minimizes stuttering by syncing the display refresh rate with the frames output that the GPU renders. With a rapid refresh rate of 240Hz and fast response time of 1 ms GTG (Gray to Gray), Acer XF270HA shortens the time required for frame rendering, thus lowers input lag and offers an excellent in-game experience. The Acer XF270HA is also equipped with Acer EyeProtect technology which incorporates several features including FlickerlessTM, BluelightShieldTM, Low Dimming and ComfyView display to reduce eye strain and provides a more comfortable viewing experience for users. The Acer XF270HA has an 3 ergonomically-designed stand that allows tilt, swivel, pivot and height adjustment, enabling users to find the ideal viewing position. The Acer XF270HA monitor is priced at RM1,499. Featuring a 31.5-inch monitor with WQHD (2560 x 1440) display with IPS technology, the Acer EB321HQUB is designed for outstanding visual experience. The Acer EB321HQUB supports up to 10 bits color depth and presents 1.07 billion reservoir of colors to enable the best image quality and performance. It also comes with HDMI and DisplayPort. Images on the Acer EB321HQUB are sharp, nature and crystal clear thanks to its impressive 100,000,000:1 contrast ratio. With a 4ms response time, the Acer EB321HQUB will have viewers caught up in the display of images and video, even when viewing from the angles courtesy of its 178 degrees viewing angle. Users can enjoy the screen together with sound from a built-in 3W speakers that support audio in and out. Also, users will not feel eye strain even during long viewing as the Acer EB321HQUB protects users’ eyes with its FlickerlessTM, BluelightShieldTM, and ComfyView technology. 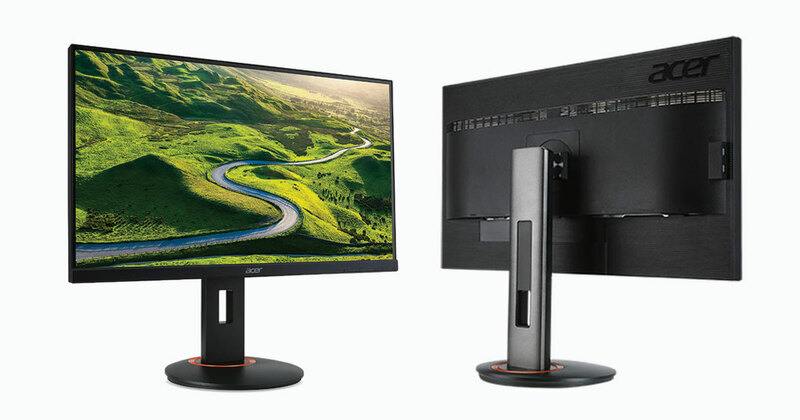 This monitor also features Acer ErgoStand that enables height and tilt adjustment. The Acer EB321HQUB monitor is priced at RM1,099. 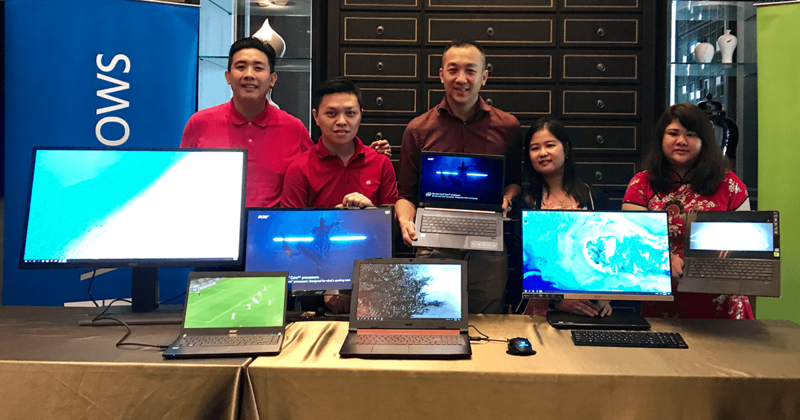 All the above devices are available for purchase immediately at all authorized Acer resellers nationwide.